It’s so easy, so second nature that we rarely even think about doing it. Did you know that the average human being (hopefully that’s you) takes around 12-20 breaths per minute? That means that you take anywhere from 17,280 to 28,800 breaths every single day. Do you know how many of those breaths I think about on a given day? Maybe a handful. When my allergies are terrible, and I can’t breathe through my nose. Before I am jump in pool and need to hold my breath. After my dog chews up a favorite pair of shoes, and I take 10 slow breaths before I try to give him away. While I have the hiccups and hold my breath to make them stop. When I am running (or let’s be real, walking) and can’t seem to catch my breath. Breathing is one of the most important human functions and it’s the one that we probably think about the least. It is incredible that we are designed in a way that we don’t have to mentally think, “Breathe in, breathe out,” every time we need to take a breath. However, I would argue that we need to think about taking a deep breath more often! This week, the Teen Lifeline staff took two days to get away, take a deep breath and use it to refocus as we head into a busy few months. It is easy to run on auto-pilot and forget that taking deep, intentional breaths (both physically and emotionally) are necessary. Taking a deep breath helps refocus. Stop and take a moment to breathe in deeply. If you’re like me, this gives you an opportunity to stop thinking (even if just for a second) and gain clarity on what to do next. Take a few hours every few months to take a mental break from your every day routine. Think about what you have done in the last couple of months and what you can do to prepare for the future ones. We all need to be refocused every now and then! Don’t continue to live, work, or play without thinking – take a mental deep breath to refocus in order to reach the goals and dreams you have planned. Taking a deep breath brings perspective. You know that feeling when you are in the middle of something big, scary and unknown? That feeling that the world is going to end and nothing is going right? Whether you are in the midst of a big decision, career change, or family crisis, taking a deep breath could be the first step to overcoming that difficult situation. Take a break from worrying, gain perspective by talking to someone you love and trust, or just take an afternoon to remember how faithful the Lord has been in the past. In one of our Stay Calm, Don’t Panic! 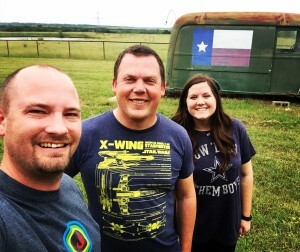 Podcast episodes, Dr. Michael Arnold said, “It’s when I’ve been the most still that i’ve been able to see all the amazing things God does heroically, miraculously in my life.” I love this quote! It perfectly sums up the effect that taking a deep breath and moment to be still can have on your perspective. Taking a deep breath motivates you to keep going. When you feel like you can’t go on, when you’re exhausted and at the end of your rope, try stopping for a breath. Our Teen Lifeline retreat was the perfect opportunity to take a deep breath and gain the energy and motivation to continue helping teenagers. Sometimes more than a single breath is needed to keep going – maybe you need an hour or a whole day to relax and do some mental and emotional breathing. By taking the time for a short break and a deep breath, you will actually come back to your kids, job, or busy schedule more motivated and ready to work. It will make you a better parent, employee and an all-around happier person if you schedule some breathing time into your life. Do you need to take a breather? Have you discovered any great ways to refocus, gain perfective or find motivation? If so, let us know! 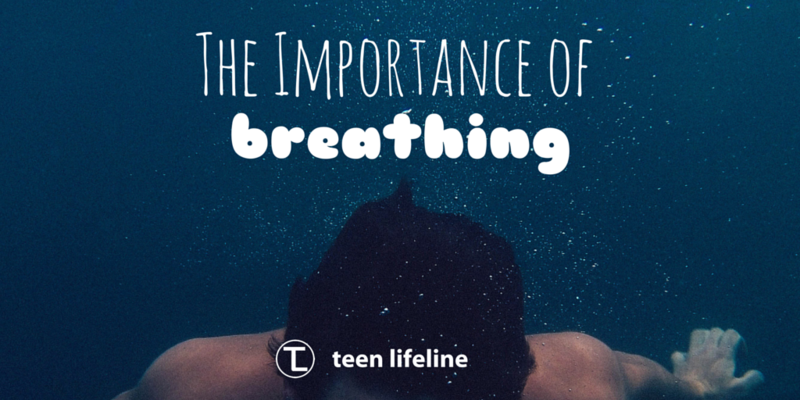 We’d love to learn more ways to take a deep breath!